Let’s face it! A roof replacement project could be a huge roadblock. It’s painful to even think about the time, effort, financial resources, and other aspects of your life that you need to give up on this project. Your roofing is like an extension of your own life. If it’s safe, beautiful, and sturdy, it becomes less of your worries. 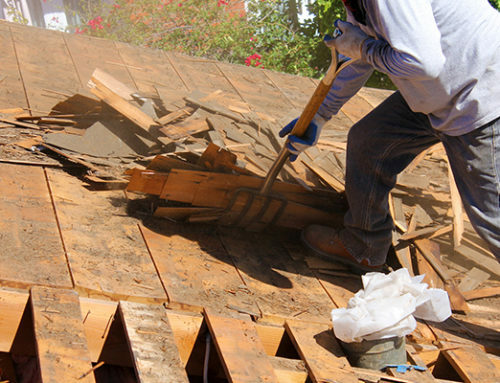 However, if a roof is aging and severely damaged, it prompts actions that you need to deal with immediately. Here at Miller’s Home Improvement, we try to make roof replacement projects as fun and exciting as possible. We believe that it all starts with the right mindset along with the correct understanding of the whole process. To simplify your life as a homeowner, we’ll explain in this post the best time to replace roof so that you may have ample time to prepare for it when the D-day comes. A professional roofer carefully installs brand new shingles. Is there a perfect time to schedule replacement projects? Or can you do it anytime of the year? These are the most common questions when asking about the best time to replace roof. Let’s take a look at what each season has to offer. Colder months are considered non-peak seasons. They aren’t the ideal months for roofing projects. The low temperature may affect the materials negatively causing them to harden or become brittle. It’s also more difficult to install a new roof during winter as it can be slippery due to snow and ice. However, there are roofing companies who accept jobs during this season which can also be an advantage to some extent. You can easily schedule projects without worrying about booking conflicts. 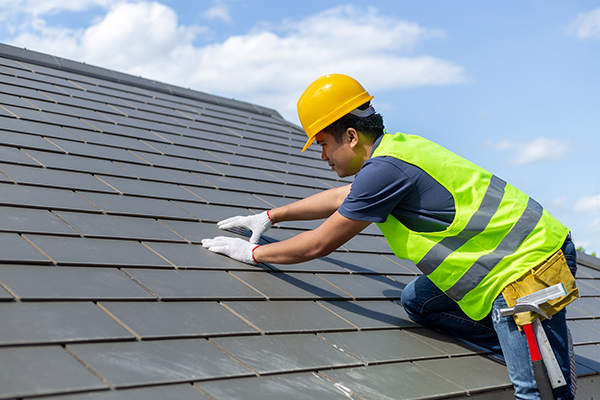 Summer is the total opposite of winter but is it any good for reroofing works? Actually, it depends on the temperature. Extreme heat and humidity may compromise the outcomes. Besides workers may also find it too uncomfortable to work under the scorching heat of the sun. However, there are parts of the summer with tolerable heat levels. This is an ideal scenario to push through with your roof replacement project. If you don’t know the average temperature during summertime, it’s best to consult a licensed local roofing to get accurate information. 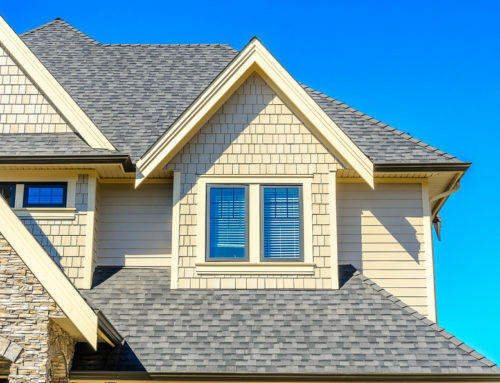 While spring is a season that’s not too wet and not too dry, it could be a difficult time to schedule a roof replacement. At this point in time, roofing companies are fully-booked with after-winter maintenance as the ice melts away. As spring approaches, it becomes more and more stressful for a homeowner if he/she couldn’t lock in a roofing contractor to handle the requirement. To prevent this from happening, always be two steps ahead and plan with your roofing partner months before spring (if that’s the agreed timeline). Most roofers will agree that fall is the ideal season for anything roof-related. The temperature is just right which will not deform or affect the roofing materials. Unfortunately, this is the busiest season among the rest. Expect that many homeowners like yourself would want to push through with the roof replacement at this very time. It could get frustrating if you have already set aside time and funds but the workers aren’t available. 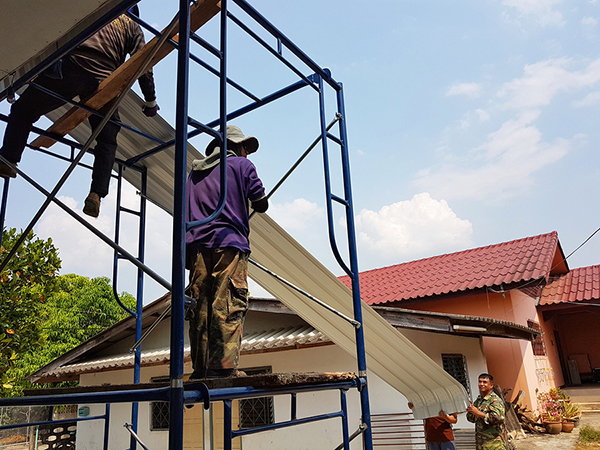 Workers installing a new set of metal roofing sheets on a bright and clear day. As we have mentioned above. Make sure that this is not an overnight decision. It has to be carefully planned months prior to your target dates. This will also make your life easier when it comes to scheduling with your roofing partner. 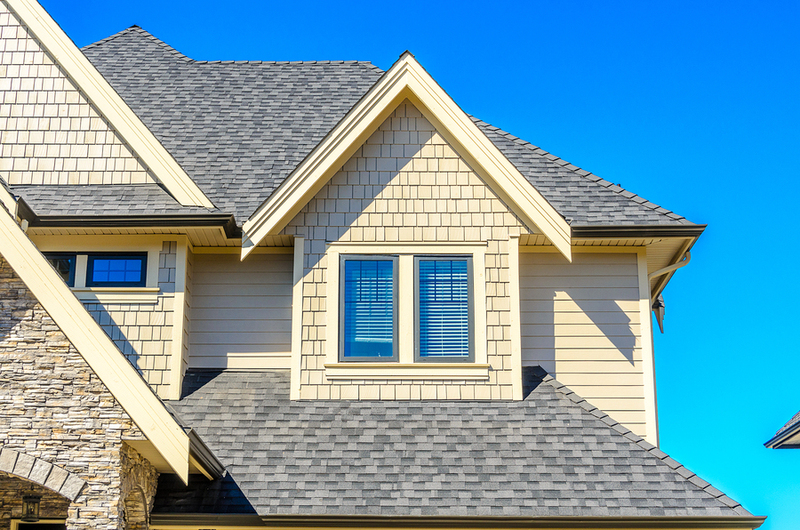 Aside from the season, there are other elements involved in planning for a roof replacement. The season wouldn’t dictate the right time all by itself. You have to look at the bigger picture and see what other things may affect the reroofing directly. The weather is not the same with the current season. Weather conditions that can impact roofing tasks may include strong winds, heavy rainfall, snowstorms, hailstorms, etc. These will tell you whether or not to pursue with it for the sake of everyone’s safety. Besides, workers cannot install a roof properly if there are hindrances in the form of harsh weather conditions. A trusted roofer doesn’t rush negotiations. 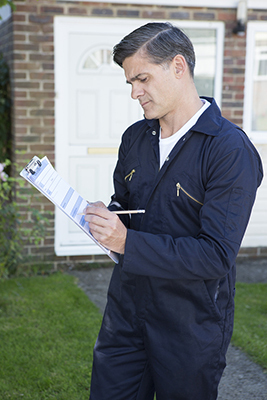 Licensed professionals will take you through the process and recommend appropriate services. How well do you know your roofing contractor? Do they have a good reputation in your state or town? Everything about your roofing contractor is relevant because it can determine the performance of your roofing. 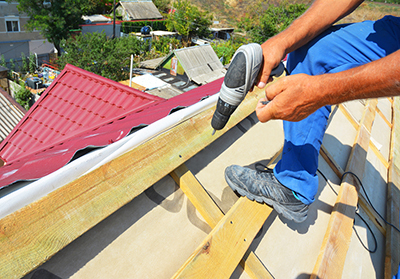 Lack of experience and poor workmanship are the recipe for a roofing disaster. Ultimately, you want to work with a group of respected professionals. At the end of the day, there’s an investment involved. Hence, you have to select the right people who will handle your property. Let’s say you have an existing asphalt shingles but would want to explore other roofing systems, is it possible? Yes, but not all the time. Roofing specialists should be able to inspect and assess your home to see if the structural support is enough. They must recommend what types of roofing systems will be suitable for your property. There are cases when metal sheets are installed over old shingles provided that it matches the foundation and will not compromise its integrity. The important this to remember is to always consult a professional. It’s dangerous to create assessments on your own as it can post health hazards. As with any home improvement project, you need to set aside funds for your roof replacement. Roofing is a major investment because it has a critical role. To get started, you need to request for proposals from credible roofing companies that operate within your city, town, or state. From there, see where your budget fits but do not depend everything on it. You have to weigh the pros and cons to get the best value for your hard-earned money. Related: Roof Replacement: What are Your Financing Options? 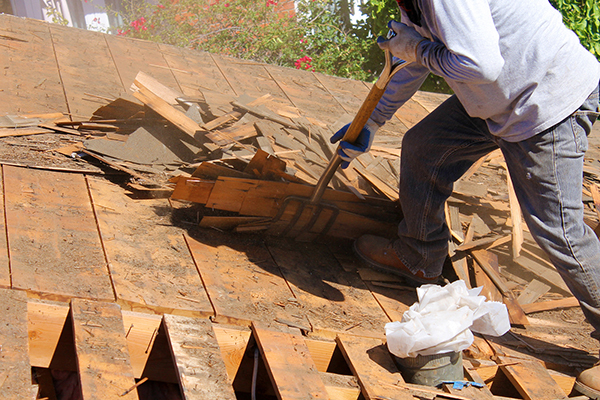 Simply put, the best time to replace roof is when you need one. You don’t have to wait until the next summer, or the next fall. You need to plan as soon as you can so that when the schedule comes, you are covered. There are instances when Mother Nature interferes. That’s the reason why you need a Plan B. Seasons vary from one place to another. In reality, there is no template for roofing projects. Experts look at the weather, the materials, and few more other things to come up with an appropriate roof replacement schedule. Still confused about the best time to replace roof? It’s okay! We understand that it could get overwhelming. Your home is one of your most valuable possessions and you want to do everything right and by the book. If you need an expert advice on the best time to replace roof or you have other roofing problems, the Miller’s Home Improvement team is here to guide you. Call our roofing specialists and get a free consultation: 248-266-4657.